The classes by our resident Yoga instructors are non-competitive and open to complete beginners as well as to those more advanced. More challenging variations can be offered to more experienced students. The instructor is also available for private Yoga sessions which are excellent if you have chronic physical pain or chronic mental stress and would like to learn some take-home techniques for relief. Private lessons are also great if you are a more focused Yoga student and would like to evolve your practice to a deeper level! 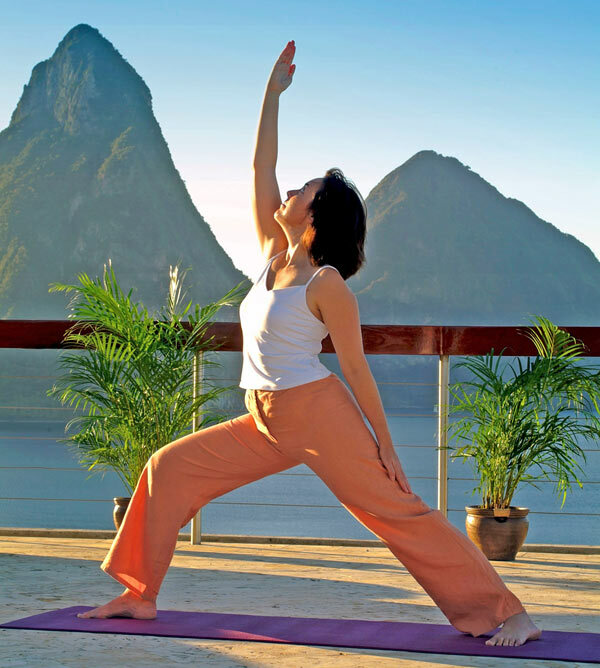 Our Yoga instructor can also be available for transformational deep tissue massages and other treatments. Taking advantage of the stunning natural beauty found within the resort's 600 acres and the surrounding area, the resort offers an array of walking options that allow guests the opportunity to take in the magnificent scenery while enjoying some exercise. Don't forget your camera, sunscreen and, for the forest walks, mosquito repellent, and a bottle of water. 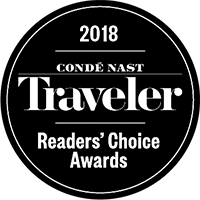 These exclusive tours, which are led by trained Resort Guides, are complimentary with the exception of two, which include a modest transportation surcharge. Laura is a yogi, yoga and meditation instructor as well as a physical therapist. She was born in Estonia but she grew up in Sweden. Over the past seven years she has lived, worked, taught and studied around the globe, from Indonesia to Spain. She has been practicing yoga and meditation since she was a teen. The therapeutic effect on her created an interest in deepening her knowledge. When she finished high school she went to South and Central America where she followed through a guided meditation course in Guatemala. Following her travels her interest grew and during her physiotherapy university studies she went to Rishikesh, India to do the Meditation and Hatha Yoga Teacher Training course. She returned to university with the wish to introduce yoga and the therapeutic side of it to the university. She wrote her bachelor’s thesis about yoga as a therapeutic treatment. Laura’s most recent yoga journey took her to Bali, where she followed through another training for teachers with her gurus and disciples of both yoga legends Pattabhi Jois and B.K.S. Iyengar. ultimately create balance in the physical, mental and spiritual body. She always adapts every class so it is relaxing, meditative, energizing and breaks down challenging asanas (positions) so they are accessible but still fun for every level, from beginner to advanced. Physiotherapy can help restore movement and function to the body following injury, disease or disability. Using scientifically proven techniques, a session is comprised of an assessment, exercises and personalized treatment plan. Whether you are looking to regain range of motion and function in the body, or are wanting to optimize posture, endurance, range of motion and/or strength, physiotherapy is a guided way to reach your goals. Sessions can be done on their own, or added to a private yoga class. Meditation is the medicine of the mind, a practice in which an individual trains to calm the mind and bring forth a more present consciousness. It is not always easy to accomplish this by yourself, and therefore a guided meditation is an excellent way to give a break to the busy mind. The class is a guided meditation in which a practitioner follows the mental instructions given by the teacher. Pranayama means to control of the breath or the vital energy. Pranayama is just as important and beneficial as yoga asanas and meditation. 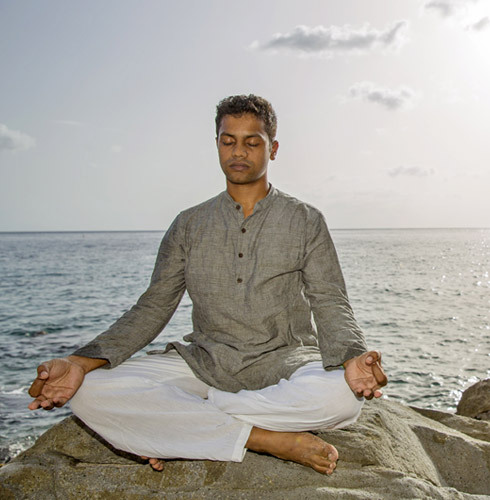 Pranayama consists of meditative breathing techniques that will help to calm and strengthen the mind and centre the self, and assists with the meditation practice. Nelson was born in Kerala, in the southern part of India. Since childhood he experienced yoga, meditation and traditional Ayurvedic treatments. For the last eleven years Nelson has been practicing and teaching yoga. Nelson completed his yoga courses with a Subramanian Master from Parivrajakacarya Yoga Vedanta Mission, Kannur University. He holds a University degree in Yogic science and Indigenous Health Care. In addition to his classic studies, Nelson has experienced yoga classes on the shore of the River Ganges in Northern India and different Ashrams in Southern India including Sivananda Ashram. He has recently completed a Yoga Alliance from Ashtanga Vinyasa yoga Mysore. Nelson is also a Level 2 Reiki Practitioner and Reflexologist. Nelson was introduced to an authentic style of Hatha Yoga at Bihar University by Guru Shirish and has since worked in some of the most renowned resorts in India. Nelson has extensive training, knowledge and skills in Asanas, Pranayama, Shatkarmas (six acts of yoga) and yoga philosophy. His attention to alignment, breathing principles and proper sequencing of postures brings depth and balance to his yoga classes. Also known for his different and authentic Indian Yoga styles, his unique teaching style and compassion-centred philosophy create unique Yoga experiences. This beginner yoga session is an introduction to yoga which consisting of yoga postures (asanas), gentle stretching, breathing techniques and relaxation, as well as an introduction to yoga philosophy and meditation. This gentle practice will give you a firm foundation for your yoga journey, perfect for students who have never practiced yoga before and also for those returning to yoga after a break. This class teaches yoga postures that can be used as potent tools to enhance health, joy, peace, love, success and inner exploration, helping one cope with the hectic pace of modern life and realize the full potential in all spheres of life. For a balanced state of mind and body. A specially designed Yoga session, in which ‘Equal Emphasis’ is given to Postures (Asanas), Breath (Pranayamas), Gestures of Energy Flow (Mudras) and Awareness of Mind (Meditation). The basic intention is to bring about a harmony in the Physical, Mental, Psychic and Spiritual aspects of the practitioner. For a complete energisation of the body. Bring out your inner radiance with this, ancient sequential practice of Yoga that pays tribute to the Sun, a symbol of radiance and spiritual consciousness. An effective way to loosen up, stretch, massage and tone all joints, muscles and internal organs of the body. Done with advanced Awareness of Movements, Breath and special Sound Vibrations (Mantras), which activate the energy centers (Chakras) thereby energising the body-mind system. A group of 12 dynamic Asanas form the physical matrix around which the practice is woven. Wrap up this invigorating session with a short relaxation practice. These are practices of purification given in Hatha Yoga to purify and prepare the body for more advanced form of Yoga practices. Shatkarma practices are excellent in alleviating disease and several chronic respiratory and digestive ailments. They also work on a psychological level to impart an inner feeling of lightness and well-being. Meditation refers to the state of mind where the body is consciously soothed and relaxed, while the mind is made calm and composed. Since ancient times, it is believed that meditation restores harmony, and rejuvenates and heals the mind, allowing it to release stress and fatigue. Meditation helps to remove the subtle mental barriers within ourselves and presents a better understanding of our personality, thought processes and our surroundings. We work in the belief that tightened muscles can lead to the diminished flow of energy in your body. When energy can’t flow freely, you can become inflexible, suffer pain and feel stiff. Overtime, this can lead to shortened muscles and connective tissue that affects your posture, immunity and organ function -- all of which can speed up aging and disability. This session consists of a series of interactive movements, stretches and rhythmic massage along the body’s energy lines and pressure points. It is a radically relaxing and deeply revitalizing form of energy-balancing bodywork, uniquely blending assisted yoga postures, stretches, breath techniques and traditional Thai massage techniques into a blissfully integrated experience. Couples yoga with a yogic relaxation session to help unblock stuck emotions and take you both through a more compassionate relationship with one another as well as a deeper connection to yourself and the world. The program will include interactive yoga postures, stretching, breath work and yogic relaxation practice. Yoga Nidra is a state of consciousness between waking and sleeping, like the “going-to-sleep” stage. You are exposed to inner awareness and brought to a place where you can communicate with the subconscious and the higher consciousness. The session leaves the body and mind relaxed and heightens one’s senses, especially those of hearing and feeling. We now offer S.U.P. yoga. Take on a new challenge and take in the serenity of Anse Chastanet Beach as you float upon the Caribbean Sea. Group and private classes offered. Complimentary demonstration every Tuesday at 12:15pm.